The FNHDA Board of Directors is made up of three regional representatives from each of the five health authority regions in BC. The Board’s key purpose is to ensure that the Association is meeting the appropriate interests of their members related to the FNHDA Constitution and Bylaws, mandate and strategic plan. Our Board has strong representation, talent and skills – coupled with a passion and commitment to faithfully advocate for the interests of their members. Virginia (Ginny) was one of the founding FNHDA Board members. She has committed the past 6 years to the creation and development of the Association. Our Board relies on her, based on her many years of experience in the field and different roles she has held, and as a Health Director. Ginny plans to retire in March and will stepping down from her role as Secretary-Treasurer for the FNHDA Board of Directors. Ginny’s dedication, kind leadership, and beautiful way of bringing resolution to the group have been a real treasure to FNHDA and the Board. 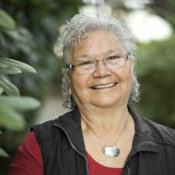 Virginia Peters is an Elder whose parents were William and Nancy Phillips from Chehalis, BC. Her immediate family consists of 3 daughters, 2 sons, 11 grandchildren, 6 foster grandchildren, and 16 great-grandchildren. She has a large extended family (definitely over 1,500). Her family is very close-knit and is strongly linked with the extended family. Coming from a strong matriarchal system, Ginny’s professional life began with several years of volunteering. She began Community Services in 1960. The Community Services she was involved with at Chehalis included Religion (Church) Committee, Longhouse, Youth Group, Youth Native Dance Group, School Board, Band Councilor (4 terms), Chief (1 term), and Social Development Portfolio (Sto:lo Tribal Council). Her professional experience started in 1972 and included Secretary/ Bookkeeper, Manager of Health, Social Development and Family Services, Coordinating Health Transfer Plans, Coordinating Special Projects and Accounting. 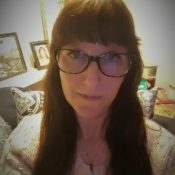 Being a family and community oriented person, Ginny continues to dedicate much time and effort to assist in the community development and healing. She firmly believes that culture and spirituality is the key to healing and rebuilding the strength of our families and communities. Janice Colleen George, Nauness, has served as the Health Director for Sts’ailes Health Department since 2017 and was elected to the FNHDA Board of Directors in November of the same year. Paternally, Janice is from Sts’ailes; maternally, she is from Squamish Nation. Her husband is from Tsleil-Waututh Nation, and together they have seven children and eight grandchildren. As a leader, Janice is known for her deep knowledge of Sts’ailes culture and spirituality, and emphasizes the inclusion of cultural practices in her daily work. As a Health Director, she also actively promotes Lateral Kindness as a solution to lateral violence. Janice brings to the Board a strong professional background, including five years of managerial experience and eight years of supervisory experience. 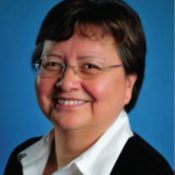 In addition to her work as Sts’ailes’ Health Director, Janice was formerly the Executive Assistant to Sts’ailes’ Chief, and also held positions as Sts’ailes’ Human Resources/Employment Counsellor as well as the Band Manager for Kwayquetlum First Nation, among other roles. She holds a Psychology Associate of Arts Degree General Studies Diploma from Douglas College and an Office Technology & Administration Certificate – Finance Option from Capilano University. She is currently completing her Certified Aboriginal Professional Administrator Diploma. Terrie Davidson has worked for her community of Boothroyd since the 1990s, wearing a number of hats, from Health Director (since 2012) to Band Manager and others. Terrie has thrived as Boothroyd’s Health Director, creating many exciting wellness initiatives. Her many achievements include the development of Phillip Campbell Healing House, where community members can join healing circles and participate in arts and crafts, nurturing their mental, physical, spiritual and emotional health. She also champions a collaborative approach to all health and wellness projects by partnering with the 32 Fraser Salish Communities as well as other community services and the Regional Health Authorities. Among this work, she notes the efforts she’s led in suicide prevention for youth, including a recent regional Youth Gathering in Chawathil to develop tools and strategies for prevention, intervention and postvention. Young people from across the region played an active role in the event’s planning and support—ensuring that it represented their needs. 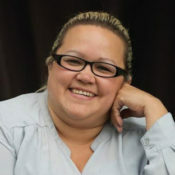 Kimberley has worked with Semá:th First Nation since 2011, and has served as Health Director most of this time. Further, she has worked with communities in Sto:lo territory since 2002, serving as Band Manager, Education and Community Development Administrator, and Health Manager. Kimberley loves working with community, and has a passion for understanding how our early experiences shape our minds, our biology, and our path in life. Understanding the impact of our personal and collective history creates light to illuminate a path towards healing and wellness. 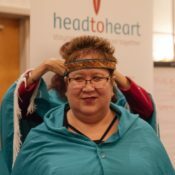 To the role of board member, Kimberley brings her passion for relationship building, a compassionate approach, a sense of humour, and sixteen years experience working with Indigenous communities, managing programs, supervising staff, and learning to appreciate each day as an opportunity to learn and grow. As the Health Manager, Frances (Franny) Alec has committed 35 years of tireless work in the fields of health care, administration and social programming. She has worked for T’it’q’et Administration as Community Health Representative and Health Manager since September 2001. Among recent health accomplishments, Franny played a leading role in the signing of a new partnership with the Interior Health Authority. The MOU, signed by the six northern St’át’imc communities (Xaxli’p, Xwisten, T’it’q’et, Tsal’alh, Ts’kw’aylaxw and Sekw’el’was) and Interior Health, marks an exciting new partnership and will improve health outcomes for the people of the Northern St’át’imc. Franny’s dedication to fostering these strong health partnerships has had a huge impact on her community. Jacki McPherson is a proud member of the Okanagan Nation with over 25 years of experience in Aboriginal health. Mrs. McPherson currently serves as Manager of Health Services for Osoyoos Indian Band, a position she has held and enjoyed for three years. 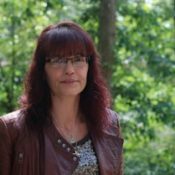 Jacki brings a wealth of community-based experience to her role as Interior representative on the First Nations Health Directors Association. Beginning with home-making, Mrs. McPherson has held almost every position imaginable in First Nations Health. In her recent past Jacki has focused on management of contribution agreements and contracts, teaching, facilitating and program design. Mrs. McPherson looks forward to further development of the First Nations Health Directors Association. 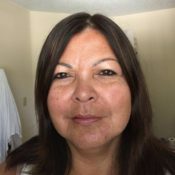 As one of the Associations founding members, she sees the Association’s grassroots connection to the communities as critical to building a credible and sustainable First Nations health governance structure. Further, Jacki is excited by the opportunity bring community voice to bear on future program development. Mrs. McPherson is grateful to the community and administration of Osoyoos Indian Band for their flexibility in supporting her work at the provincial level. Happily married for 24 years, Jacki has 3 children. In her spare time, Jacki enjoys reading, spending time with her family and playing the occasional game of bingo. Shelley Lampreau is the Health Director of the Simpcw Health Centre. My name is Gumsagayax (Beverley Clifton Percival). I was born in Prince Rupert, and I come from Wilps Hanamuuxw of Gitsegukla. My mother was Alaist (Barbara Clifton), my grandmother was Gwaans (Olive Ryan), a name previously held by Peter Milton. My father is Andrew Clifton, son of George and Violet Clifton of Gitgaata (Hartley Bay, BC). After I graduated from high school in 1981, I received a B.A. in Sociology and Anthropology from SFU in 1987. I have worked as a sessional university, instructor for UBC and UNBC in Gitxsan Culture. I also have a diploma in Adult Instruction from Vancouver Community College. More recently I have completed my course work for an M.A. at UNBC. My project outlines in gitxsanimx our wilp Lax Yip and resources that form our gwalyeinsxw. I have also volunteered on many Boards, such as; the Ksan Association, Hazelton Public Library, Upper Skeena Health Council, First Nations Council (Northwest Community College), and the Upper Skeena Community TV Board. I supported the Delgamuukxw Court Case, attending meetings with my grandmother. I am also active in the Lilligit; our WiIp raised a pole in 1991 and carried out our obligations within our system. I have held my grandmother’s name since 1998 and have been taught our history, adawak, laxyip boundaries, ansilinisxw, and en’aat along with other knowledge necessary to carry out my responsibilities as a Gitxsan. 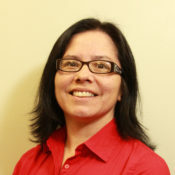 Coreen Paul is the Health Program Manager at the Musqueam Nation. Rosemary Stager is originally from Lil’wat Nation and has held the position of Health Director at Southern Stl’atl’imx Health Society (SSHS) for the past two years, where she serves the four Southern Stl’atl’imx communities. In just two years, Rosemary has overseen a number of innovative wellness initiatives—always grounded in culture. One of the most popular projects that she’s worked on is a men’s health group, which holds regular outdoor meetings. At these gatherings, men from Southern Stl’atl’imx and their surrounding communities share teachings, hold health interventions and support each other to reconnect with their land and cultures. Another of Rosemary’s major achievements is SSHS’ upcoming move to a new building in Mount Currie that is wheelchair accessible and includes an updated kitchen for hosting canning and preserving programs as well as nutrition sessions for diabetics. Keith is an experienced professional with over 30 years of experience working with federal, provincial and private organizations in managerial and senior administrative positions with these organizations. Keith possesses a Bachelors of Education, Bachelors and Masters of Social Work and a Master’s in Public Administration from Dalhousie University, Halifax, Nova Scotia. Currently Keith is the Director of Community Health Programs for the Hailika’as Heiltsuk Health Centre in Bella Bella BC. 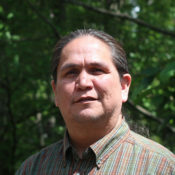 Keith began his career with the Department of Health & Social Services-New Brunswick-Senior Social Worker specializing in First Nations Child Welfare. It was during this tenure Keith developed the protocol for the placement of Aboriginal Children into foster care. It was through this protocol that First Nations’ agencies determined the priorities for Aboriginal foster homes in the community. Keith also worked with several other First Nations governments including Burnt Church and Red Bank First Nations in New Brunswick, Membertou and Millbrook First Nations in Nova Scotia and Katlodeeche First Nation in Hay River Northwest Territories. From 1999 to 2002, Keith was a member of the National Parole Board. In 2003, Keith was the Director of Community Health and Allied Services for the Hay River Health and Social Services Authority in Hay River NT. Keith looks forward to serving with the FNHDA representing the Central Coast. 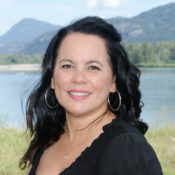 Kim Roberts is from Campbell River Band, and works as the Health Director for Kwakiutl District Council Health (KDC Health), since 2011 as an acting role, and officially as of 2013. Her leadership and care are focused first and foremost on the community she serves, where she ensures that programs and services are delivered with respect and that honour the community and individuals’ dignity. Kim honours culture through traditional healing including: regalia making, cedar offering, workshops and group work (with individuals and families), and work in the Bighouse. One of the most notable workshops was with Jane Middleton-Moz, who is a therapist that speaks on culture, grief and trauma. The workshop had more than 50 attendees, providing families with the tools needed for their grievances. Kim believes in being a role model and walking the talk. Kim gets out on the land and walks with the community. She is proud of the wellness initiatives taking place within the KDC member Nations. Community members are still participating in the 2013 FNHC Beefy Chiefs Campaign – Step Up. There is a large population walking with their Fitbit each day and there is also an Elders walking program. Some elders have a goal to join the 300 community members who participate in the 2017 Run the Spit – Aboriginal Day Celebration. Members of KDC Health keep active, as they also participate in the Times Colonist 10K, which included 82 team members. As Health Director, her goal is to provide outstanding services for community members and staff. She strives to maintain and develop ongoing capacity at all levels within the organization. Kim is from the community she serves. She is inspired by her community members as she enjoys working with elders and youth. She is there to make a difference. Charles Nelson is from Nuxalk Nation (Bella Coola, BC) but lives on Snaw Naw As (Lantzville, BC) territory. He works for Snuneymuxw First Nation (Nanaimo, BC) as a Health Administrator. Charles has been a Health Director now for 8 years. Of these 8 years, Charles has worked for Nuxalk Nation for 6 years and 2 years with Snuneymuxw. 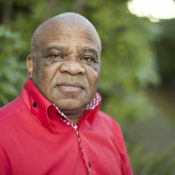 Charles has a certificate in Management Skills for Supervisors and a certificate in Computerized Accounting Procedures. Prior to moving to Snuneymuxw, Charles was the Health & Wellness Director for Nuxalk Nation. Nuxalk Nation has a population of approximately 2000 with about 1000 of those members living on reserve. The services provided by the Nuxalk Health & Wellness centre include Health Programs, Wellness Programs, Early Childhood Development Programs and Justice Programs. The programs and services at Nuxalk Nation are similar to what Snuneymuxw receives. While working in Bella Coola, Charles became involved with the First Nations Interim Health Governance Committee which eventually transitioned into the role of the First Nations Health Council. At this committee, Charles had a chance to become involved in the beginning stages of change for the First Nations Health Council. 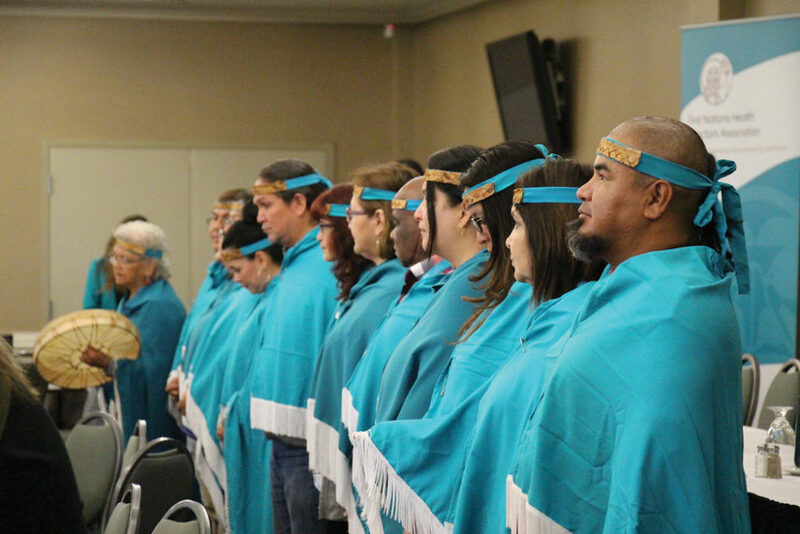 The role of becoming a provincial body for First Nation peoples’ health was both exciting and challenging. Charles thinks it is good to see the First Nations Health Authority now in place. He loves being in a helping role and working with strong skilled people with the same enthusiasm. But he also really likes the opportunity that this position provides in working with the community in defining their needs for Health, Wellness & Justice. Charles believes we are at a good place with our First Nations Health Directors Association. We’ve done so much since the last AGM and covering so much ground with the new Health Directors curriculum. This is all due to having a great team of Health Directors in BC and the best technical team that the First Nations Health Authority provides. Vanessa Charlong is an Administrative Officer/Health Director and is a Nuu-chah-nulth representative for the Vancouver Island Region. 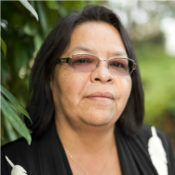 Vanessa is a member of the Hupacasath First Nation in Port Alberni, B.C. She has been a Health Director for fourteen years for her nation. Vanessa’s work involves taking care of Education, Reception and Membership and a number of other items. She presents around the Kitchen table training, coordinates monthly lunch and learns, and helps with formulating crisis response protocols for the community. Her relevant training includes ATKT – HIV/STI training, TB- DOT training, Help, Healing and Safe Talk training and Brief Action Plan interviewing. Dealing with community members and the bonds/relationships that are formed and making people happier and healthier are what Vanessa loves about her job as a Health Director. She maintains her health by eating healthy, laughing lots and spending time with her family. Getting out in nature or going for long drives, traditional dancing, and spending time with her kids are what she likes to do in her personal time. Vanessa loves to spend her time with her Grandmother Nessie Watts, Mother, Sandra Vissia, one sister, and her two brothers. She also loves being silly and having fun with her kids. Vanessa practices the Mental Wellness campaign objectives – Honoring the land, Powering Down, and Weaving Support Networks – by getting outside and spending time near the water and trees; hiding her IPad under the couch cushions across the room; and, getting lots of support from family, work, friends and community. One of her favorite best initiatives is the around the Kitchen Table training which will eventually become monthly Womens’ dinners. She also enjoys the monthly lunch and learns and rebranding our Health Programs. She practices lateral kindness by complimenting people on ‘the little things’. Vannessa is honoured to be a part of the Board and would like to thank the Nuu-chah-nulth Health Directors for their faith and support of her in this position.